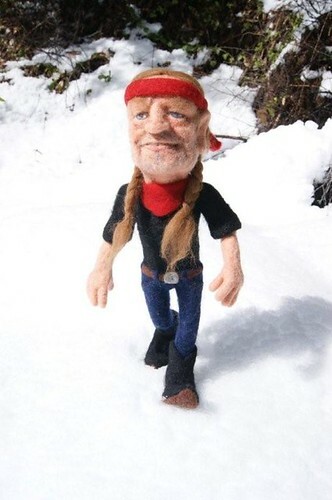 Li'l Willie Nelson #2. Little Li'l Willie was one of my early caricatures. 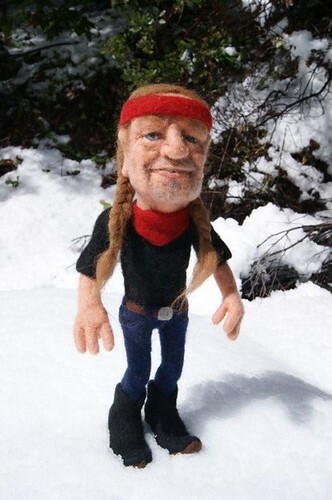 Big Li'l Willie is my first attempt to repeat a subject. They are two years apart. What no weed? Just joking.He is ever so cute you are very talnted I have looked at all your old work. It's wonderful to see your skill increase. 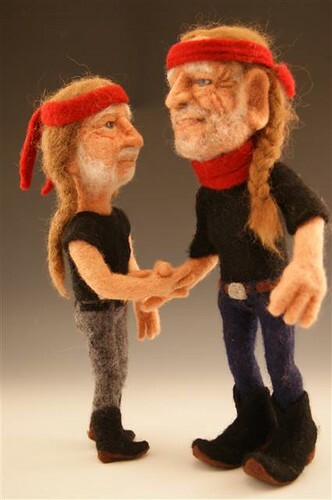 I thought Lil Willie 1 was good, but Willie 2 is AWESOME! Wow! 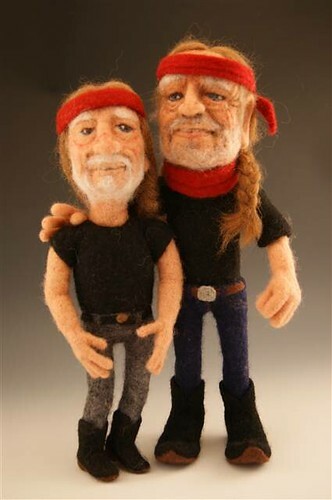 Love them both and especially new Willie's boots. Wow, I just discovered your work, and it's amazing!!! What fun, and such detail. I'm trying my hand, and signed up on your forum...thank you for sharing your world! ¿Un mundo real k parece de fantasía o un mundo de fantasía k pudiera ser real? Es lo más maravilloso k he visto en mi vida en lana fieltrada. ¡Enhorabuena! They're both brilliant but if anything your new work is better than the old. even more characterful somehow.